Congressman Charles Bernard Rangel, D-N.Y. was none too pleased that a somewhat-famous media personality chose to heckle him as he rode in a convertible during a Puerto Rican parade in New York. The scandal-plagued Harlem native could be seen giving the finger in apparent objection to frequent Howard Stern Show contributor "Joey Boots," who was repeatedly yelling, "You're a crook, Charlie!" at the Congressman. Charlie Rangel, 82, was seated on the passenger side of a convertible as it rolled though the Bronx during the outer borough's Puerto Rican Day parade this past weekend. Smiling, Rangel waved a Puerto Rican flag and greeted parade-goers along the route -- until Boots appeared with a video camera. "Charlie, you're a crook...you cheated on your taxes!" yelled Boots, as Rangel passed him. A few seconds later, Boots, whose real name is Joseph Bassolino, ran through the crowd, paralleling the parade to get one last word in with Rangel. As he began to call out to the Congressman once more, Rangel turned and flipped off Boots, who seemed unfazed after receiving the middle finger. In 2008, Rangel was accused of using official Congressional letterhead to solicit donations for a center named after him at the City College of New York in Manhattan. That year, he was also accused of renting four high-rise apartments on Lenox Avenue in Harlem at stabilized rates markedly lower than the going rent at the time, and using them partially as campaign headquarters. Rep. John Boehner, R-Ohio, offered a failed attempt at censuring Rangel over the allegations. However, the act that Joey Boots was referring to when he heckled Rangel was another 2008 incident. Rangel was accused of neglecting to report income on a Punta Cana, Dominican Republic villa that he rented for as much as $1,000 per night. His lawyer, Lanny Davis, admitted that Rangel indeed failed to declare $75,000 worth of rental income on his tax forms as well as his financial disclosure forms as a member of the House. 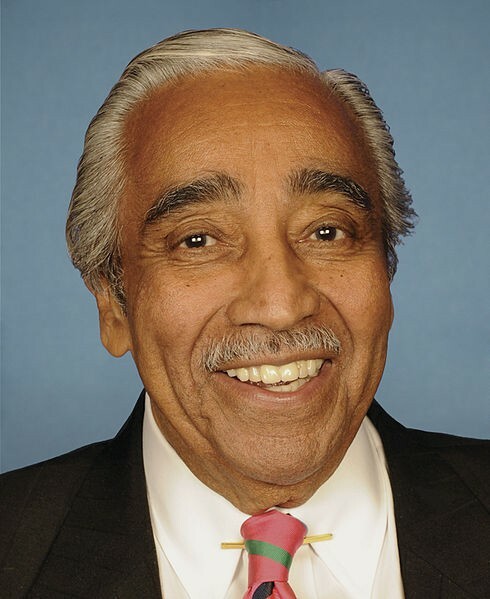 Following these and other alleged incidents, the House of Representatives voted in 2010 to charge Rangel with 13 counts of violation of House rules and federal regulations. He became the 23rd Congressperson to be censured, and the first since former Rep. Gerry Studds, D-Mass, who was accused of having an inappropriate sexual relationship with a male Congressional page in 1983. Frank Lautenberg Death: Who Will Chris Christie Appoint To Take Place Of Immigration Reform Champion? Christiane Amanpour Husband James Rubin Resigns As Port Authority Commissioner; Will They Move To London? Channing Tatum Baby: Actor And Wife Jenna Welcome First Child; How Many Does Tatum Want?